If you were wondering what’s beneath the camouflage, we are here to reveal you the secret. 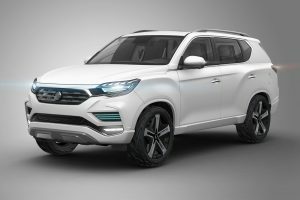 It is the all-new 2019 SsangYong Korando – the SUV that’s going to offer more than any previous high-riding vehicle from the same production facilities. How come? Well, the prototype clearly shows what’s on carmaker’s mind. With the arrival of the redesigned Korando, the automaker is not only making the different-looking SUV but also brings a plethora of new technologies. The most important news is an all-electric powertrain without any doubt. Yes, from now on, the interesting crossover will use the system that combines a 188-hp electric motor with a 61.5-kWh lithium-ion battery. 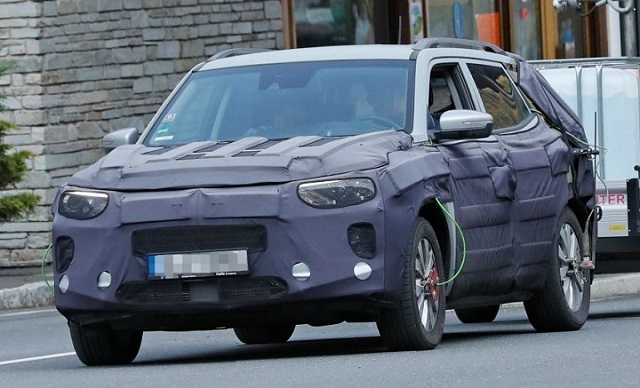 By using the drivetrain the 2019 SsangYong Korando EV is going to be able to travel between 200 and 280 miles on a single charge. This prototype isn’t an EV, though. No, this one hosts an internal combustion system. The question is, which one is under the hood? As far as we’ve heard, the 2019 Korando is going to feature three of the kind. The automaker prepares an oil-burner model which will rely on the e-XDI 1.6-liter turbo diesel. Both an entry-level 1.2 three-cylinder and a range-topping 1.5 four-cylinder gasoline options will be fitted with a mild-hybrid aid. Design-wise, the 2019 SsangYong Korando definitely mirrors the e-SIV Concept that made debut this year in Geneva. Moreover, we are pretty sure that the SUV gets identical proportions of the concept, so it should measure 4,460 meters in length. The forthcoming Korando will also adopt the manufacturer’s latest technologies including a Level 2 autonomous system. 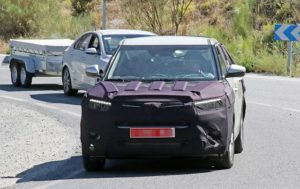 The prototype, however, features some additional sensors, so it’s highly possible that SsangYong has a plan to increase the automatic lane and active driving function. The redesigned SsangYong Korando will be introduced in the coming months. 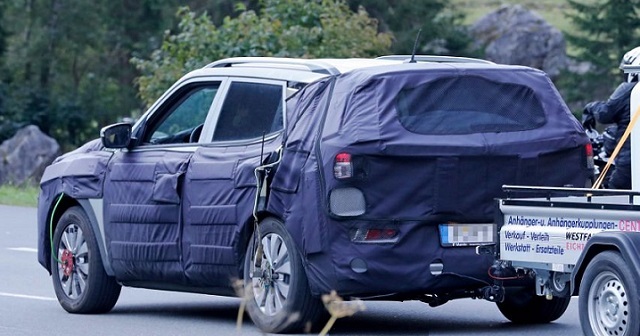 After that, the carmaker has a plan to bring a refreshed Tivoli crossover in 2020.